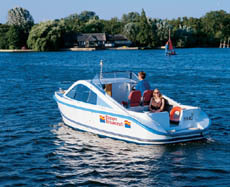 If you are booking a Brinklet or Picnic boat for a full day with an online booking you will receive a £10 discount. For any other discount vouchers please contact the booking office on 01603 782625 as these cannot be used online. To book more than 1 boat please either complete a booking for each boat required or contact the booking office. Payments for bookings at Advance Purchase/Non-Refundable rates are not refundable and bookings may not be modified.